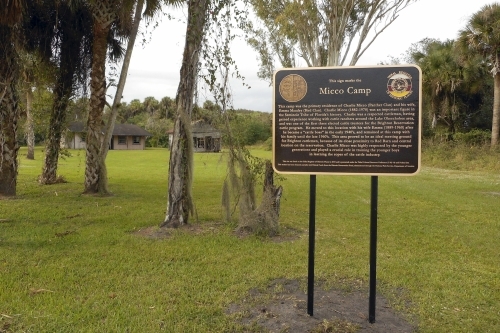 The top tier of the Seminole Site File (the THPO’s repository for the Tribe’s cultural resource information) is called the Tribal Register of Historic Places (TRHP). 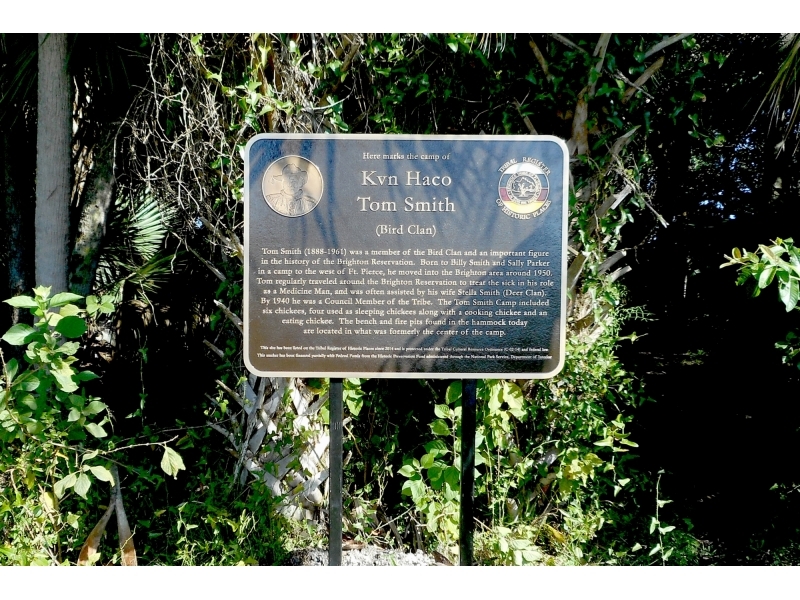 The TRHP, which was created in 2011, mirrors the National Register of Historic Places (NRHP) in many ways. 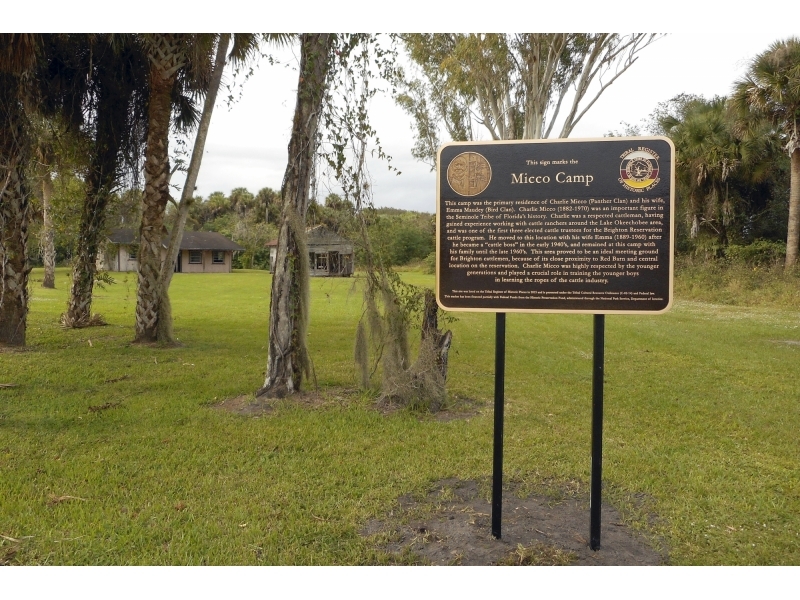 However it was developed to preserve exceptionally significant Seminole sites that do not meet the NRHP’s criteria by creating criteria specific to the culture, history and beliefs of the Seminole Tribe of Florida. 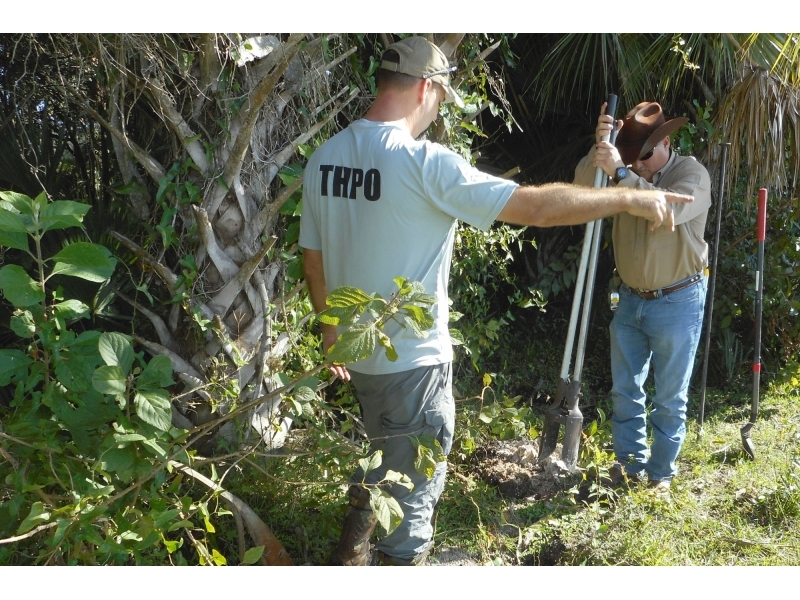 All sites considered for the TRHP must already be documented within the Seminole Site File prior to being nominated. 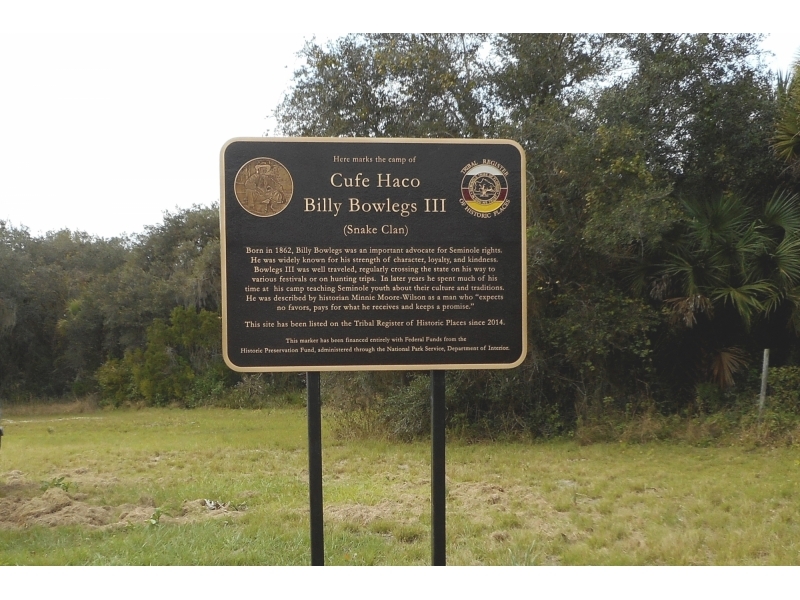 Nominations of properties to the register can be made by anyone and will be reviewed for significance by the TRHP Committee and by Seminole Tribal representatives and officials. 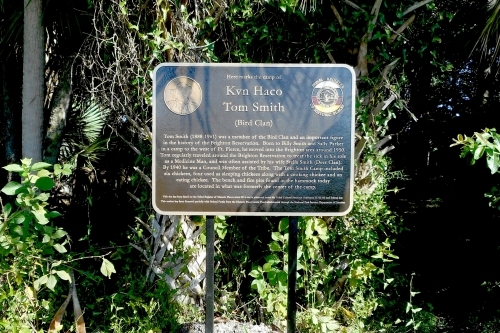 All documentation related to the TRHP is maintained within the THPO and depending on the nomination viewing access may be limited or restricted. 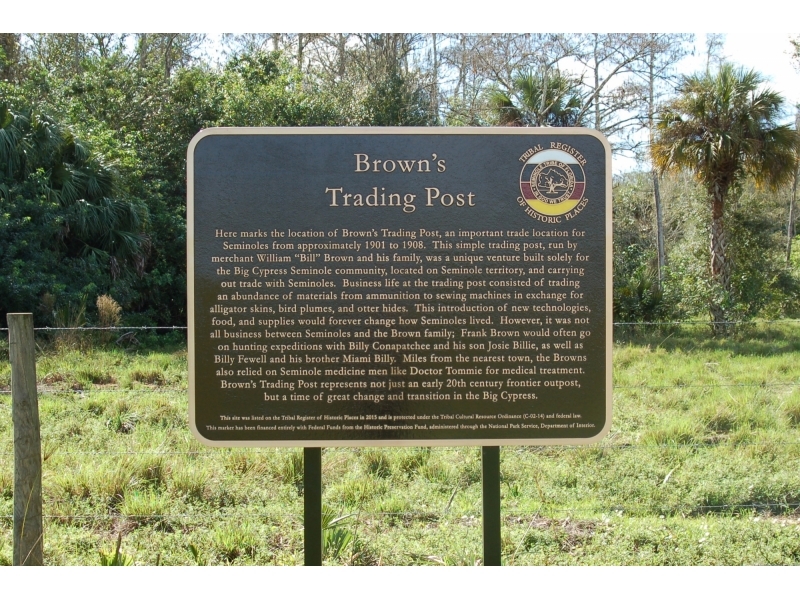 To date, the THPO has listed 14 sites on the TRHP. 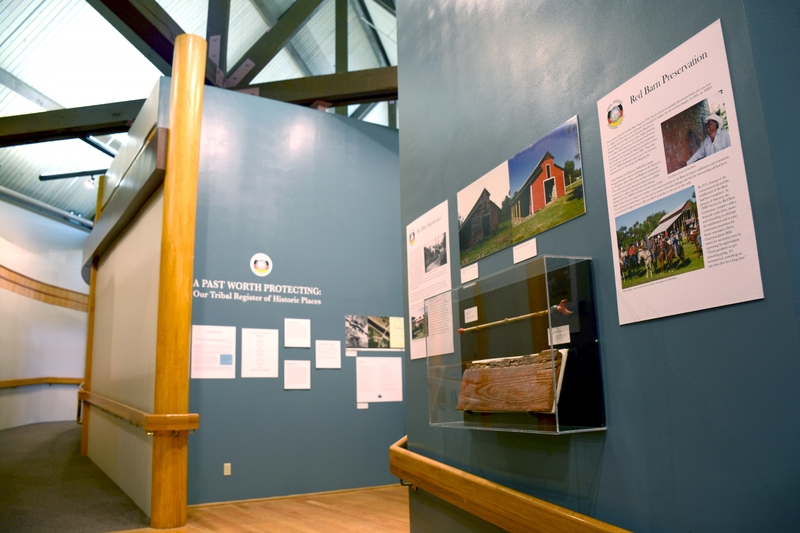 In the winter of 2014 the THPO, in collaboration with the Ah-Tah-Thi-Ki Museum, installed a new exhibit entitled, "A Past Worth Protecting: Our Tribal Register of Historic Places" in the Nook Gallery. 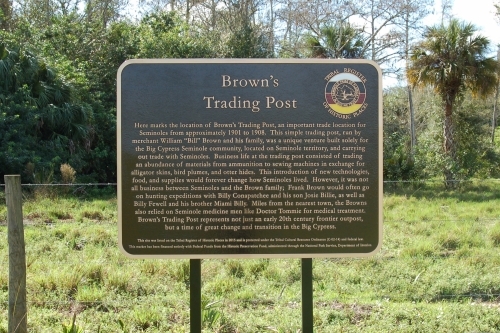 The exhibit gave background on the TRHP and highlighted three of the listed sites. 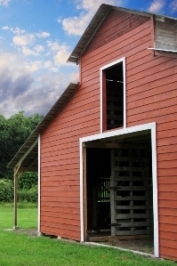 The Red Barn has been nominated to the Tribal Register of Historic Places and has also been listed on the National Register of Historic Places. 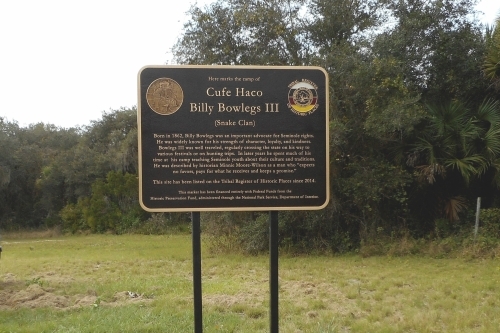 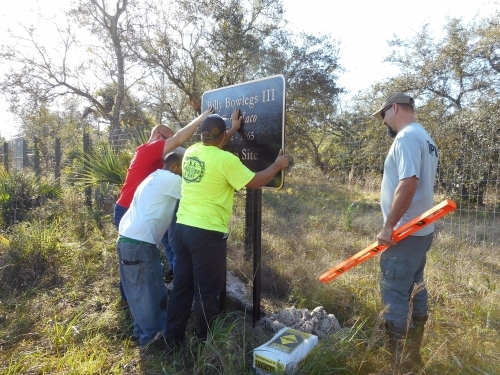 New Tribal Register bronze markers go up at several sites on Brighton and Big Cypress. 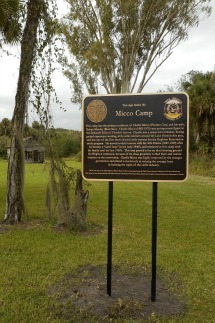 Seen above is the Micco Camp, listed in 2014. 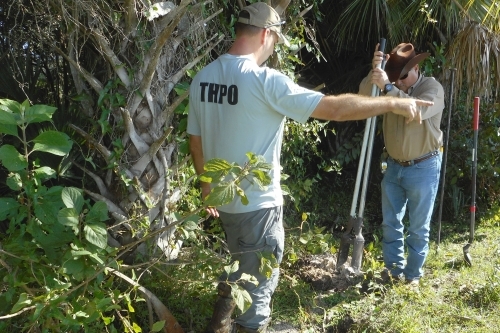 Documenting and researching properties for the TRHP may include interviews with the tribal community, archival research, and even archaeological fieldwork. 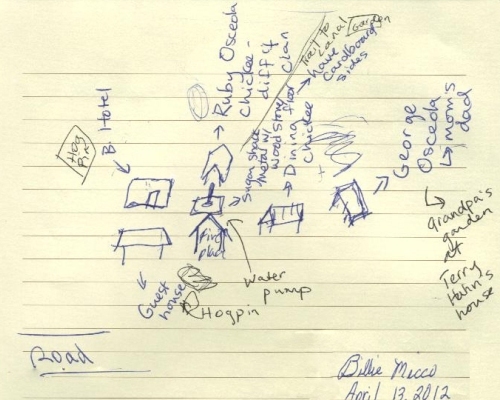 This camp illustration, by Mr. Billie Micco, was drawn during an interview conducted for a TRHP nomination of his father's camp, the Little Charlie Micco Camp. 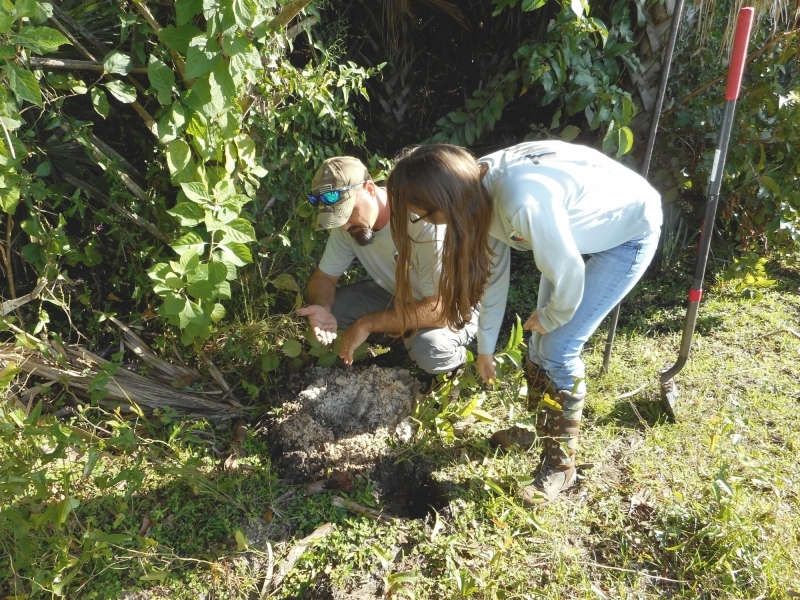 Interested in submitting a nomination to the Tribal Register? 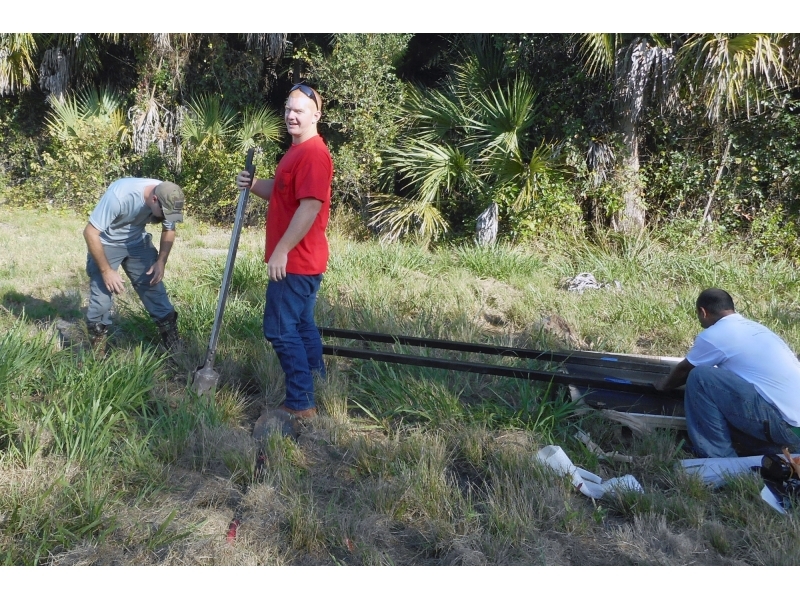 Please contact our Research Coordinator for more information. 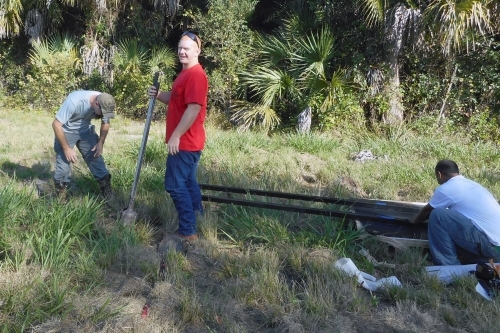 Our Tribal Archaeolgy Team has been hard at work along with the Tribe's Public Works Department placing bronze markers at several of our Tribal Register sites!